that anchored an array of destroyers, a show of strength. that ejects through space ions of unknowable unknowing. 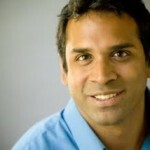 Ravi Shankar is an associate professor of English and poet-in-residence at Central Connecticut State University. His collections of poetry include Instrumentality (2004), a finalist for the 2005 Connecticut Book Awards; the collaborative chapbook Wanton Textiles (2006), with Reb Livingston; and Deepening Groove (2011), winner of the National Poetry Review Prize. Brian Turner (author of Here, Bullet and Phantom Noise) received the Amy Lowell Traveling Fellowship, the US-Japan Friendship Commission grant, the Poets’ Prize, and a Lannan Fellowship. His work has appeared on NPR, the BBC, Newshour with Jim Lehrer, and elsewhere. He directs the MFA program at Sierra Nevada College.